Stephanie Eslake won the City of Hobart Australia Day 2017 Young Citizen of the Year Award for her “community contribution by creating an online promotional and educational network for young Australian classical musicians”. She is also the inaugural 2017 Kill Your Darlings New Critic Award winner, a finalist in the 2017 Tasmanian Young Achiever Awards (semi-finalist in 2016), was shortlisted for the 2017 Kat Muscat Fellowship, and tutors writing as part of an Associate Degree at Foundry in which she also writes course content. 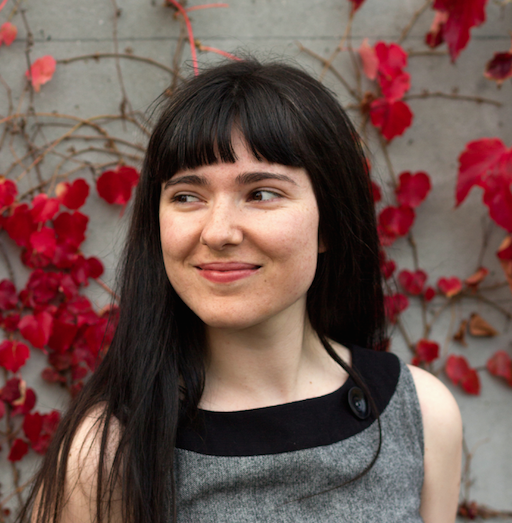 Stephanie founded classical music magazine CutCommon (cutcommonmag.com) in 2014, after attending the Australian Youth Orchestra Words About Music program. She has triple-majored in media, music, and sociology through her completed Bachelor degrees. She has been published in The Mercury, TasWeekend, SBS (Life), Limelight Magazine, The Music, ArtsHub (ArtsHub UK, ScreenHub), Aphra Magazine, The Courier Mail, The Daily Telegraph and RendezView, Adelaide Now, Young Opportunities Australia, Perth Now, The Herald Sun, and Warp Magazine – the latter of which she has also worked as subeditor. The award-winning writer co-founded Upbeat Monthly News for the University of Tasmania’s Conservatorium of Music, has written program notes for the Queensland and Tasmanian Symphony Orchestras, hosted features on Edge Radio 99.3 and ABC Classic FM, and worked in live broadcast production. In 2015, she spent time as acting editor and lead writer for The Mercury‘s music publication Pulse. The classical saxophonist tutors woodwind, worked as co-editor and publications mentor for Hobart City Council’s Platform youth arts and culture magazine, and is part of the Making Waves’ Making Conversation interview team.